Based in Lewiston, Idaho, CCI produces dependable and affordable ammunition. 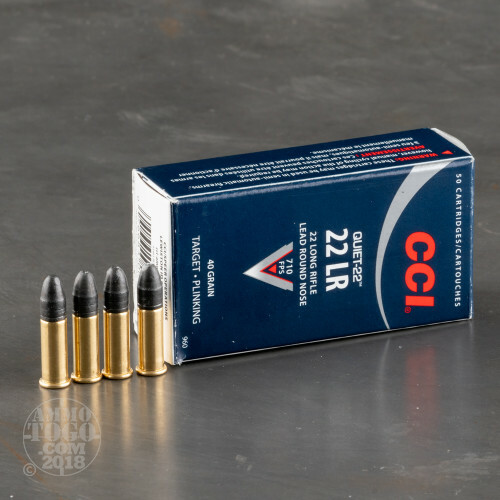 Well-known for their rimfire ammunition, CCI has revived rimfire with the introduction of exciting, high-performance products, while other companies often sit on century-old technology. 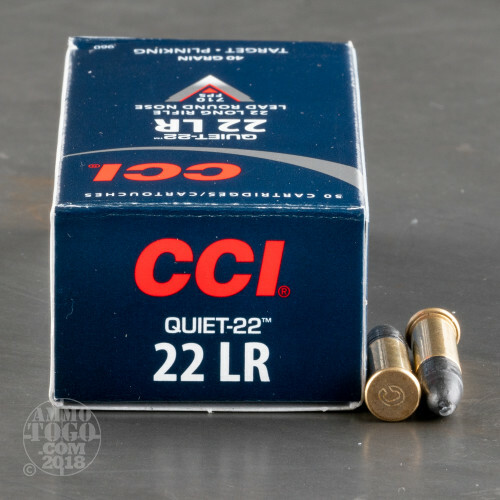 This package contains 50 rounds of CCI Quiet-22 .22 LR ammunition. Each cartridge is loaded with a 40 grain lead round nose projectile. 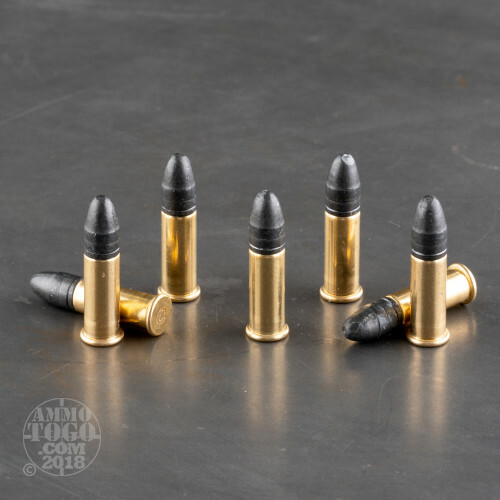 Producing excellent terminal mushrooming and effective accuracy, these rounds are ideal for hunting small game, although they are also well-suited for target shooting and casual backyard plinking. 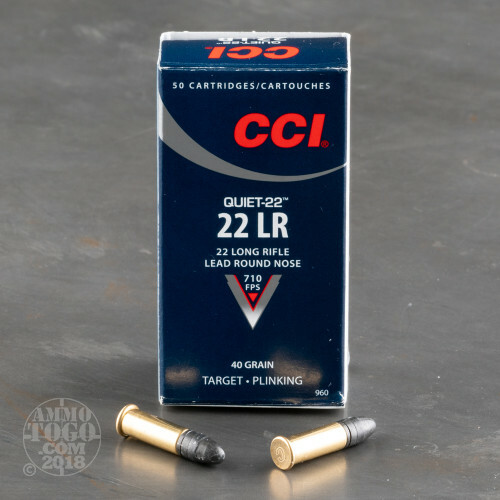 These reduced report cartridges are designed to generate one-fourth the perceived noise of standard velocity .22 LR rounds. A great option for young shooters, these Quiet-22 loads allow for safe and fun shooting without the need for hearing protection. Allowing you to enter “stealth mode” with your .22 LR, these rounds are also perfect for situations where excessive noise would be problematic. This ammunition is factory fresh and brass cased. Leaving the muzzle at a velocity of 710 feet per second with 45 foot pounds of muzzle energy, this ammo is ideal for bolt-action and single shot .22 long rifles, although they also function well in semi-automatics. This is the ammo we use at the Georgia Southern University Range every Sunday. My girlfriend and I enjoy CCI Quiet round that has been very reliable and economical for us over the years. We enjoy competing against each other target shooting. Works fine and it's quiet!